Your GivingPress site contains several templates for displaying pages with a variety of layouts. For instance, this page is using the “Full Width” template, which hides all sidebars from being displayed on the page. 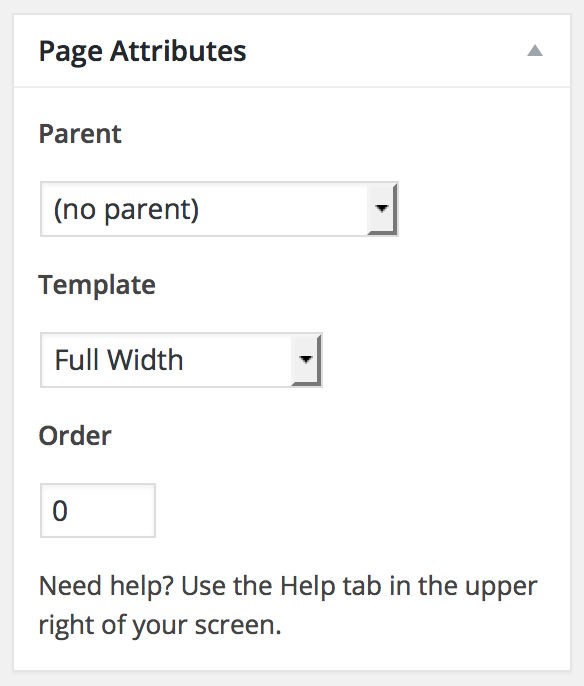 Templates may be applied to any page within the Page Attributes section of the page editor under Pages -> All Pages -> Page within the WordPress admin. 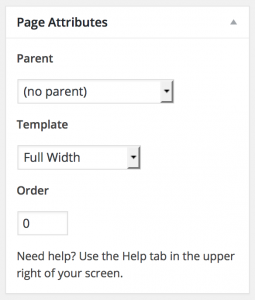 The screenshot to the left displays the Page Attributes section with the “Full Width” template applied.